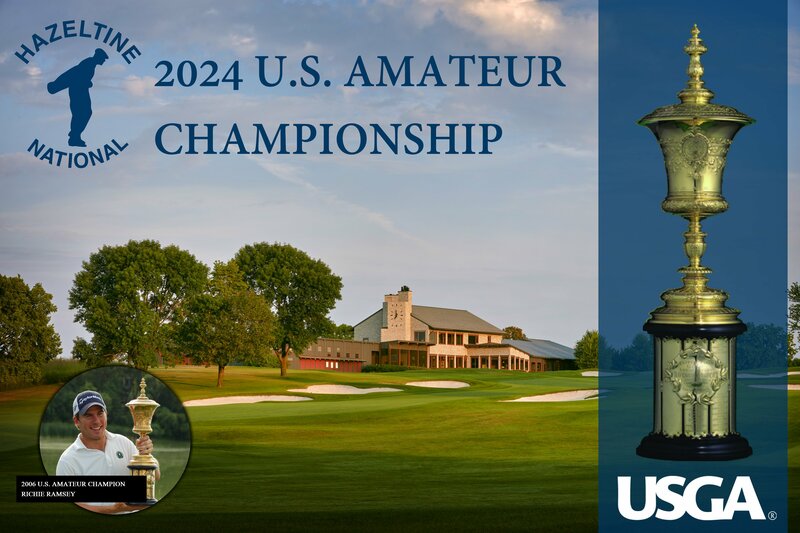 This week marks 25 years since Hazeltine hosted the 1991 U.S. Open Championship. 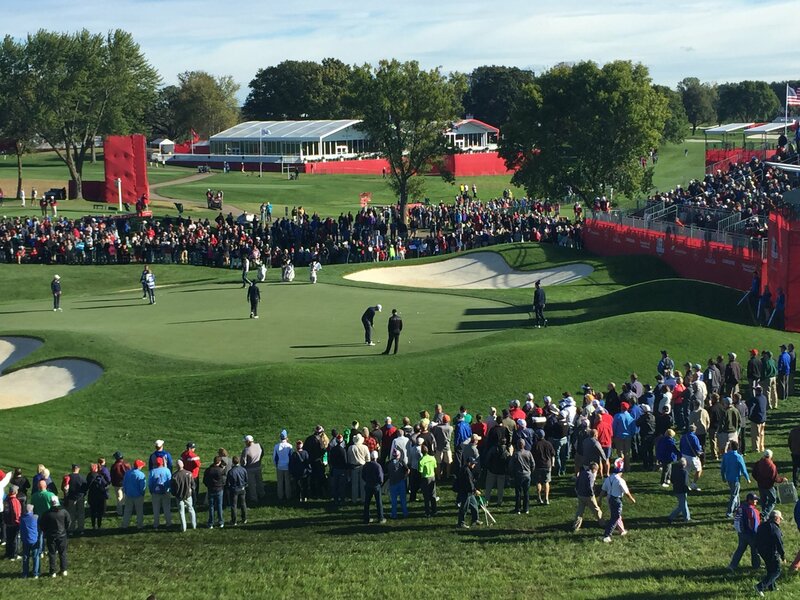 It had been more than 20 years since the club first hosted the event, and after years of course renovations, Hazeltine was ready. Payne Stewart and Nolan Henke shot 67 and were the co-leaders on day one before severe weather rolled in. Henke had played only one hole when the weather arrived, but had holed out from the fairway to make eagle. Stewart played late in the day and started with birdies on three of the first four holes. Conditions had improved dramatically from earlier, and the scoring average dropped commensurately. For Stewart, playing eighteen holes in the Open without a bogey was an improbable event. Wearing a back brace because of pain the day before, his game showed no effects of the neck injury that had sidelined him for ten weeks earlier in the year. At that time, he had told his wife Tracey that if he could win the Open, he could salvage his year. He continued his good play on Friday with a two-under-par 70. In two days, he had hit 33 of 36 greens in regulation. He led Scott Simpson, Corey Pavin, and Henke by a stroke. On Saturday, the wind changed and intensified. Hazeltine bared its teeth. Nowhere was that more evident than on the short par-four 16th hole. Not that it had played easily before - it was the fourth hardest hole the first day and the hardest the second. Several players would have made the cut but for a big number on sixteen. With the wind up, it was something else again. There was not one birdie on the hole the entire day, more bogeys than pars, and enough “others” to throw a number of players out of contention. The stroke average was almost a full stroke over par. At the end of the day, Simpson and Stewart were left standing. At six under par, they shared a four-stroke lead over the rest of the field. They were to battle the rest of the way for the Championship. Sunday’s weather was meant for scoring, but the greens were getting hard and fast, and no one could mount a charge. On the 16th tee, Stewart was even par for the day, but two down to Simpson. As they were all week, the finishing holes were tough for Simpson. His bogey-par-bogey finish and Stewart’s clutch five-foot putt for par on the last hole set up an eighteen-hole playoff the next day. Throughout the practice rounds and the regular competition, record crowds attended the Open. It might have been expected that attendance on Monday would be small. Instead, huge galleries watched the head-t0-head battle. Simpson fell behind quickly with bogeys on the opening two holes, but his birdie to Stewart’s bogey on the fifth hole tied them at one over par. After twelve holes, they were still even. It would be the last hole that they would tie for the day. The pressure of the championship and the firm, fast greens took their toll on the competitors. Stewart made par on the 13th hole, to Simpson’s bogey. On the short par-four 14th, Simpson birded and Stewart bogeyed. Stewart also bogeyed the par-five 15th, giving Simpson a two-stroke lead standing on the 16th tee, the same position he had been in the day before. Once again, Stewart’s play on the difficult finishing holes made the difference. He birdied sixteen, and made par on the last two holes. For the week, he played the three holes one under par – all pars except the birdie on the sixteenth in the playoff, where he needed it most. In contrast, Simpson was eight over par for the week on the same stretch. He made bogey on sixteen, then put his tee shot in the hazard to the left of the 17th green. His up-and-down from an extremely difficult spot gave him another bogey, but left him just one behind Stewart. Simpson’s closing bogey on eighteen gave him a 77 to Stewart’s 75, the highest winning score in an Open Playoff since 1927. As Hazeltine proved itself a worthy Open venue, Stewart demonstrated the skills that would make him a top contender for the Open title throughout the rest of the decade. He made 57 pars during regulation play, and finished strong each day, belying the conventional wisdom that he could not “close the deal.” His dream of a few months before had come true. Watch Hazeltine members' inside the ropes experience at the 1991 U.S. Open Championship. Hazeltine National Golf Club is a private golf club located in Chaska, Minn., about 30 minutes southwest of downtown Minneapolis. The club opened in 1962 with a mission to build and maintain a golf course suitable for the conduct of national championships. 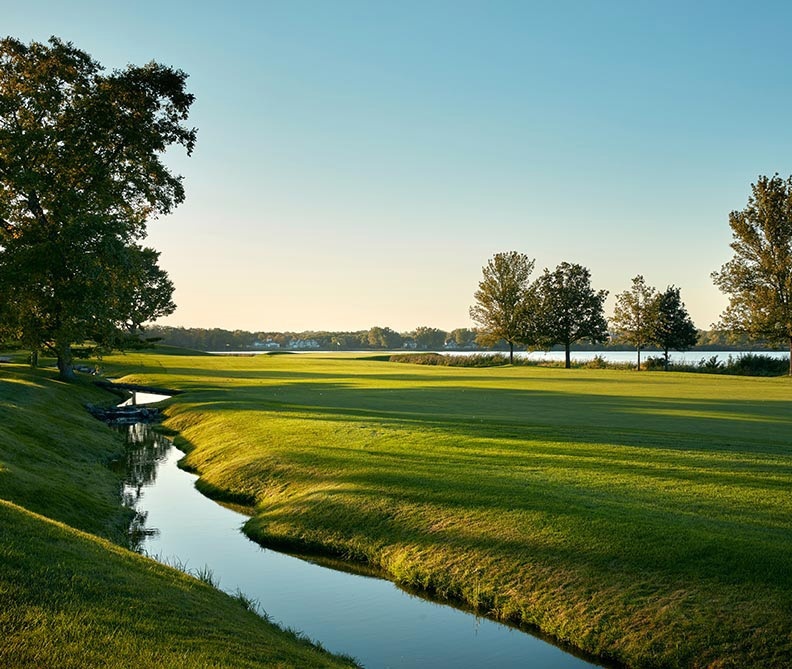 Hazeltine is one of only two courses in the United States to have hosted the U.S. Open, PGA Championship, U.S. Senior Open, U.S. Women’s Open, U.S. Amateur, and Ryder Cup. Hazeltine’s meeting and event space, golf shop and specified services in the learning center are open to the public. 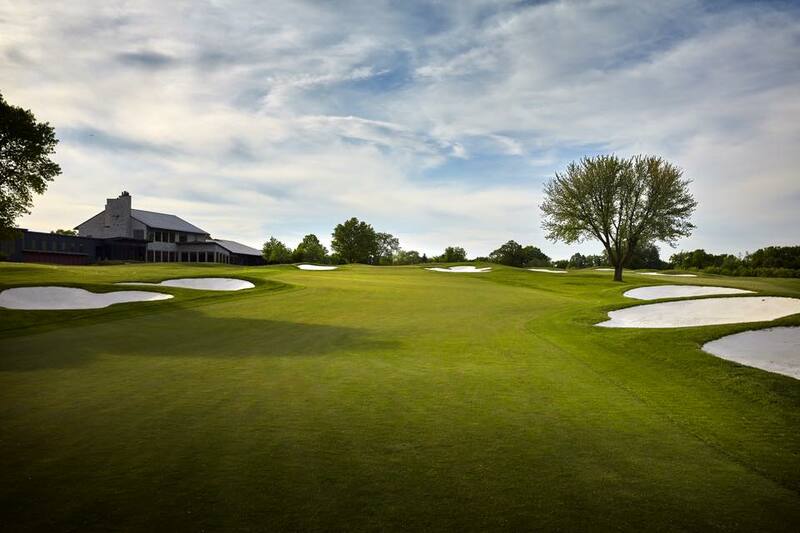 More information about becoming a member at Hazeltine is available at www.hazeltinenational.com.